1. Why are references required? BLUEWOOD use references to check all applicants' credit history and also a reference from a former landlord, current employer and previous employer. These references are necessary for us to ensure that you have the means to pay the rent. We check your credit history to check whether you have had any court orders or CCJs against you in the past. The landlord reference is to help us ensure that you are a reliable tenant who pays on time and doesn’t damage the property. You employer reference is to ensure that you are in the employment that you have stated on your application form. However if you have a bad credit history you may still be able to apply for the property, as long as you tell us beforehand. If you mislead us about your credit history then your application will automatically be rejected. However if you have a bad credit history you may still be able to apply for the property, as long as you tell us beforehand. If you mislead us about your credit history then your application will automatically be rejected. 2. I have been told that I need to pay an application fee when applying to take a property. What is this? t is a fee taken from the applicant to ensure the property is reserved for them subject to contracts being accepted. This fee usually includes the cost(s) of referencing each adult who will be moving into the property, together with the administration cost(s) involved in preparing for the tenancy commencement. For details of the fee please download the information sheet from the left hand side of this page. 3. What ID do I need to show, before I can move in? For residency we accept a recent (within the last 3 months) utility/ council tax/ mobile phone bill or a current tenancy agreement. For identity we require a photo style driving licence or passport. If you are not a UK citizen of the European Economic Union then you will need to provide evidence of official permission to live in the UK for the term of the proposed tenancy. In some circumstances additional ID will be requested by the credit-referencing agency. 4. Do I have to sign a lease with my landlord? Yes, until the tenancy agreement is signed there is no contract between you and the landlord. If the tenancy does not go ahead as planned you cannot claim against the landlord or BLUEWOOD for your costs or out of pocket expenses. Yes, a security deposit is required in case of any of damage or dilapidation of the property during your tenancy. BLUEWOOD holds deposits under one of the three Tenancy Deposit Schemes in England and Wales; or in Scotland and Northern Ireland held in a separate Client Monies Account. Your deposit will be held for the duration of the tenancy. At the end of the tenancy you will be checked out of your property and an assessment of damage / dilapidations will be made. Your tenancy agreement will state what can be claimed from the deposit. If any of these items are identified, then BLUEWOOD will contact you to discuss the proposed deductions. BLUEWOOD would prefer to be able to agree to refund the full deposit to you on your vacation, but it will be your responsibility to ensure that you have fulfilled the terms of the tenancy, left the property in accordance with the inventory and schedule of condition, followed the check out notes and ensured that you rent is paid up to date. 7. As a full-time student do I have to pay council tax? 8. When can I pick up the keys to my new home? BLUEWOOD will not release any keys to you until the commencement date of the tenancy agreement. You will be required to visit BLUEWOOD on this day in order to finalise any paperwork, such as signing the tenancy agreement, collecting a copy of the gas safety certificate and completing a standing order or direct debit form. Once all of these have been completed and BLUEWOOD have completed their procedures, you will be given the keys to your rental property. 9. What am I, as a tenant, responsible for? Repairing any damage caused by you at the property, which includes unblocking a sink or toilet, which has been blocked due to your misuse. 10. What is my landlord responsible for? This largely depends on the level of service BLUEWOOD has been instructed for the property although your tenancy agreement is between you and your Landlord and therefore the Landlord must ensure that any promises made within this contract are fulfilled. Fully Managed: Your Landlord will have appointed BLUEWOOD to act for him regarding day-to-day matters. Therefore you should contact BLUEWOOD on all occasions. They may need to get authorisation from your Landlord for certain requests, but they will then act in accordance with your Landlord's instructions. Rent Receipt: Your Landlord will have appointed BLUEWOOD to set up the tenancy and then to receive your rent on a regular basis. You should only contact BLUEWOOD if you have queries regarding your rent. If you have any queries regarding day-to-day matters you should contact your Landlord. Tenant Finding: Your Landlord will have appointed BLUEWOOD only to find him a Tenant for his property and sometimes to set up the tenancy agreement. Any queries or matters regarding the tenancy once you have moved into the property should be directed to your Landlord. BLUEWOOD will not be able to assist you. In all instances your tenancy agreement and your welcome letter will explain to you who you need to contact during the tenancy. 11. Who is responsible for the TV licence? 12. What maintenance is the landlord required to complete? The gas appliances and pipework at the property are safe and is obliged to have a qualified engineer to test these on an annual basis. You will be provided with a copy of this certificate, which should indicate that all of the appliances and pipework are safe. 13. What is classed as reasonable wear and tear? Fair wear and tear is the normal deterioration of an item in normal use, however it is a landlord's decision on what is reasonable wear and tear and what is excessive dilapidation. Fair wear and tear is based on the length of the tenancy, the number and ages of the Tenants, the condition and ages of the items and the expected lifespan of these items. BLUEWOOD ensure that the condition of the property is noted down in the inventory prior to the tenancy beginning for reference of the original condition of items in question. 14. Can the landlord enter the property without my permission? The answer to this is usually stated in the tenancy agreement. In most cases a landlord cannot enter the property without giving the tenant reasonable notice beforehand, usually no less than 24 hours. Please see your tenancy agreement for more details. However, in the event of an emergency, which may affect the safety of the occupants or the property, it may be necessary to gain access without this notice. 15. Can my landlord increase my rent at anytime? 16. Can my landlord take my possessions if I fall behind on rent? No. The Landlord can take certain action via the courts in order to take action against you for non-payment of rent, but if you are occupying the property under an assured shorthold tenancy or a fixed term contract, your Landlord cannot enter and take your possessions from the property. If you fall behind with your rent it is always best that you contact your Landlord or your Landlord's Agent to discuss how you will ensure that any money due can be paid. Your Landlord is entitled to take action to regain possession of the property via the courts if you continue to not pay your rent. 17. Can I redecorate or make any other alterations to the property? 18. How do I end my lease early? When you enter into a tenancy agreement with your Landlord it will state how long this period is for. During this time neither you nor the Landlord can end the tenancy unless there have been breaches of the terms. If there is a break clause in place you may be able to end your tenancy early according to the terms of the break clause. You should refer to your tenancy agreement and discuss this with your Landlord or BLUEWOOD. A fixed term lease give you security to occupy a property for a set period of time and you will be responsible for paying the rent for this sent period of time which was agreed at the commencement of the tenancy. 19. 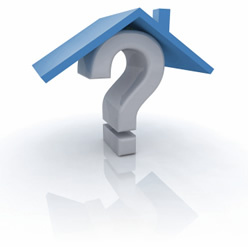 Can I stay longer than the agreed term of my tenancy? 20. Can my landlord refuse to give me back my deposit? If you have entered into an assured shorthold tenancy in England and Wales, then the return of the deposit is subject to tenancy deposit protection. The scheme which your Landlord or BLUEWOOD have chosen will be able to provide you with information on the process for returning your deposit. These scheme provide an alternative dispute resolution process whereby an independent adjudicator will make a final decision on the disbursement of the deposit money. If you have a non housing act contract or company tenancy and are in England or Wales, or are in Scotland, your Landlord will probably be holding the deposit himself or BLUEWOOD will be holding the deposit as agent for landlord. This means that the Landlord can withhold reasonable amounts of the deposit for items, which are stipulated in the tenancy agreement without your consent.